The PokerStars New Jersey Championship of Online Poker series wrapped up on Monday with the last of $1,200,000 in guarantees handed out. A total of 46 events made it onto the NJCOOP calendar with the $200,000 guaranteed Main Event bringing in 420 entries, leaving a slight overlay. Dan ‘R@zzleDazz1e’ DiZenzo emerged victorious Monday night to win the $36,015 first place prize. The Main Event field was filled with PocketFivers and other notable players who made deep runs. Ryan ‘ACpoker027’ Lee finished runner-up and 2017 World Series Of Poker Colossus Champion Thomas ‘PompYouUp’ Pomponio took seventh. Two former World Series of Poker Main Event winners cashed as well with Scott Blumstein and Chris Moneymaker both earning a payday. Moneymaker also earned a win in Event #28 ($500 Pot Limit Omaha) and collected $9,000, beating Michael ‘Gags30’ Gagliano heads up. The NJCOOP Main Event was not the highest buy-in event on the schedule with a $1,000 Six Max that carried an $80,000 guaranteed taking that honor. This event had a small overlay as well and ended in a three-way deal. The only PocketFiver to finish in the deal was Greg ‘MissAnnthr0pe’ Donatelli, who earned $15,000 for his eventual third place finish. David ‘dehhhhh’ Coleman took fifth place along with $5,600. Coleman recently moved back into the #1 spot in the New Jersey rankings at the start of October and picked up nine cashes during the NJCOOP series. The month isn’t quite over yet and for now, Yong ‘ykwon17’ Kwon is in first place in New Jersey. Kwon put in a tremendous volume during the series and came away with 21 cashes. Two of those cashes were wins and Kwon picked up victories on both October 8 and 9. He won Event 25 ($200 Progressive KO) for $5,245 along with nearly $1,872 in bounties. Kwon followed that win up by taking down Event 27 ($300 4-Max) for $15,426 more. 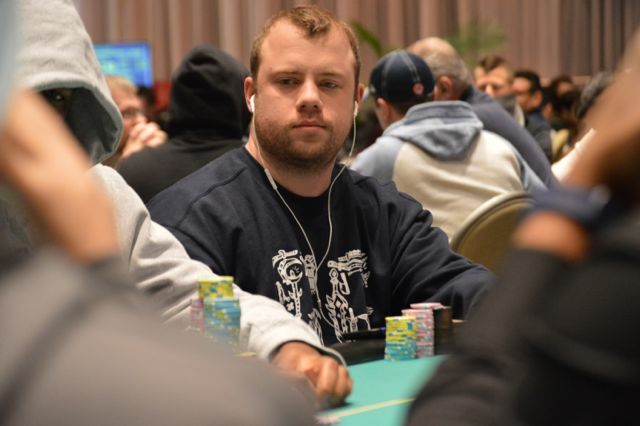 There was movement at the bottom of the NJ Online Rankings top 10 on PocketFives with Keith ‘donnysack’ Donovan moving back in after a few months out and ‘senorstinks’ climbing up to #8. Donovan cashed six times in NJCOOP highlighted by his win in Event #14 ($200 Limit Hold’em 6-Max) where he won $4,156. Other PocketFivers who picked up wins include ‘OceansO7‘ in Event #5 ($85,000 guaranteed Sunday Special SE) for $15,904, Chris ‘zootsuit101’ Bilinsky in Event 10 ($30,000 guaranteed Super Tuesday SE) to win $8,980, and Andrew ‘mergulas’ Glauberg in Event #11 ($300 Heads Up), who earned $6,000. The BorgataPoker.com Garden State Super Series is underway and runs through October 22. That series combined with the rest of the standard PokerStarsNJ schedule will have plenty of say in how the rankings pan out once November hits.